This is a sponsored post written by me on behalf of Nationwide. I purchased my own insurance at normal prices. All opinions are 100% mine. Nationwide provided me with information regarding its SmartRide program. Make sure you and your family are safe when driving. 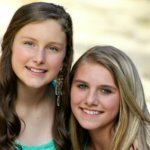 I have compiled a list of 10 Safety Tips for all Drivers, including teen drivers, and a great tip for how you can save up to 40% in your car insurance. Driving today has never been more safe. Car makers are engineering safer vehicles. Governments are building safer roads. Technology is making our driving experience safer (hello, parking assistance!). As drivers, we need to do our part to make sure that our families arrive at their destinations safe and sound. 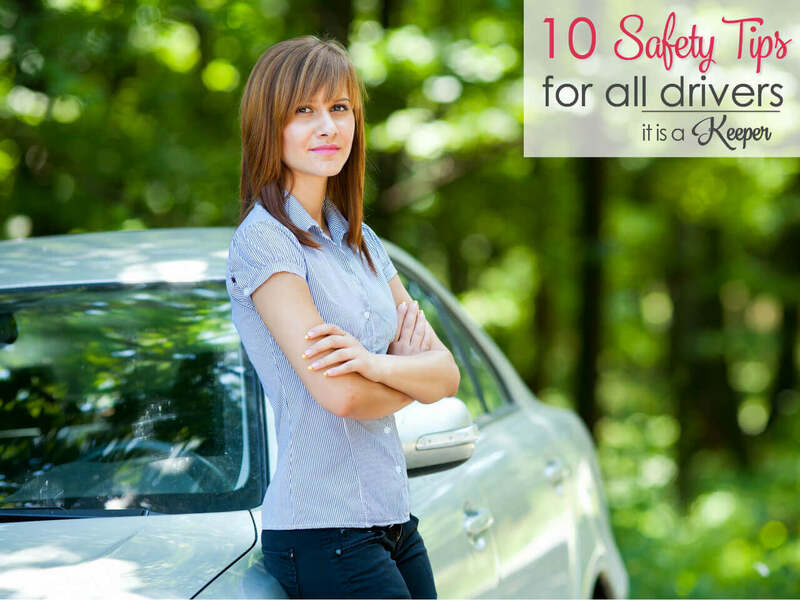 I’ve compiled a list of 10 safety tips for all drivers – even teen drivers. 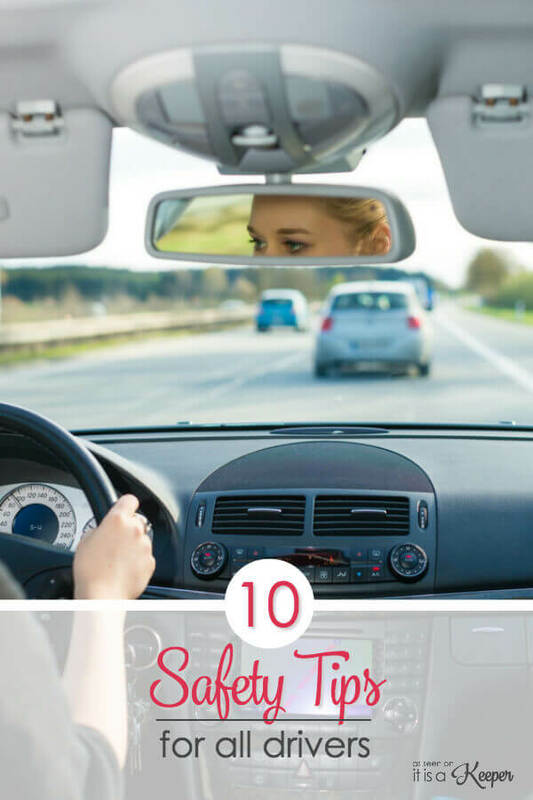 These tips go beyond the basic follow-the-speed-limit tip. Stay focused on the road and keep an eye on your driving habits. This one seems very basic but it’s the most critical (in my opinion). It’s so easy to become distracted today with everything from text messages to arguing kids demanding our immediate attention. If a situation arises where you need shift your focus from your driving, pull over. It’s also good to get feedback on your driving habits to see where there’s room for improvement. Nationwide offers a safe driving program called SmartRide. When you enroll, Nationwide sends a small device that you easily install in your car. And it measures your driving behavior based on variables such as mileage, time of day, fast accelerations, hard brakes and idle time. Knowing your driving habits can help you become the best/safest driver out on the road. Eliminate cell phone distractions. This includes texting, Pokemon or any other cell phone use that takes your attention off of the road. To limit temptation, keep your phone on the back seat. There are also several apps you can install that either block incoming texts while you’re driving or will read them aloud so you can stay focused on your driving. Make seat belt safety a game with your kids. When my son was young, I would put him in charge of the “Seat Belt Roll Call”. He would call out our names an everyone would have to respond “Buckled!” before we could start the car. Turn on your headlights. Keep your headlights on – even during the day – so that other drivers can see you more easily. Some cars come with daytime running lights but if your car doesn’t have that feature, get in the habit of turning on your lights every time you drive. Slowdown in inclement weather. Speed limit signs indicate the maximum speed you can go. You should always drive at a speed that is safe for conditions. So, if it’s snowing or raining, you may want to slow down. Don’t assume that cars with blinkers on are turning. So many times drivers inadvertently leave their blinkers on. Don’t ever assume that another is going to turn – even if they have their turn signal on. Follow the 3 second rule. I’m a bad judge of distance so I use the 3 second rule to make sure there is enough space between me and the car in front of me. Pick a stationary object (like a sign or tree). Once the car in front of you passes that object, there should be at least 3 seconds before you pass the object. Allow yourself more time at night and in bad weather. Take an extra moment at green lights. If you’re the first car at a stop light, wait an extra moment when the light turns green in case another driver didn’t see the light change to red. Program emergency contact numbers into your cell phone. Plan ahead for emergencies and program the contact info for your auto club, mechanic, etc. into your cell phone. Keep an emergency kit in your trunk. 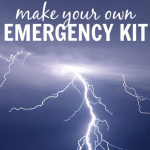 Include emergency triangles, bottles of water, flash light, first aid kit and blanket. Follow these tips to ensure you and your family are safe when driving. And, make sure you are taking advantage of your safe driving habits. I wanted to circle back to discuss Nationwide’s SmartRide program a bit further. 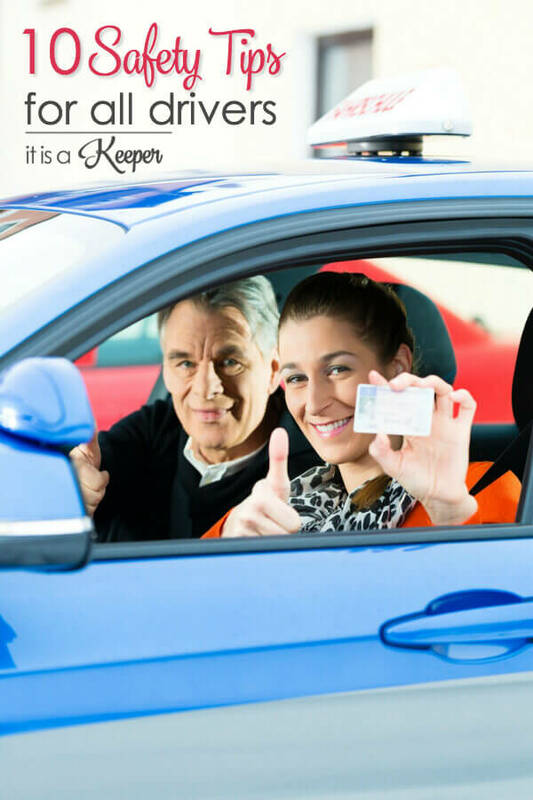 This approach to auto insurance allows you to take advantage of the good driving habits you already have in order to lower your insurance rates/premiums. It’s a safe driving program, which uses a device that customers can easily install on their own. SmartRide measures driving behavior such as time of driving, mileage, idle time, fast accelerations and hard brakes. And you can earn a discount based on your performance. Participants can get a 10% discount just for signing up for the program, with a chance to save up to 40% at the end of the program. Following this road safety tips will sure get you to your destination safe.Always see to it that you follow every road signals and limit distractions while driving. Being knowledgeable of all these things can save you from future accidents. The most important thing is to have your car checked before hitting the road.